Be A Guardian of the Nest! Don’t forget to channel your inner-superhero and help to protect our Nest! We are ready to be exceptional and leading Falcons! 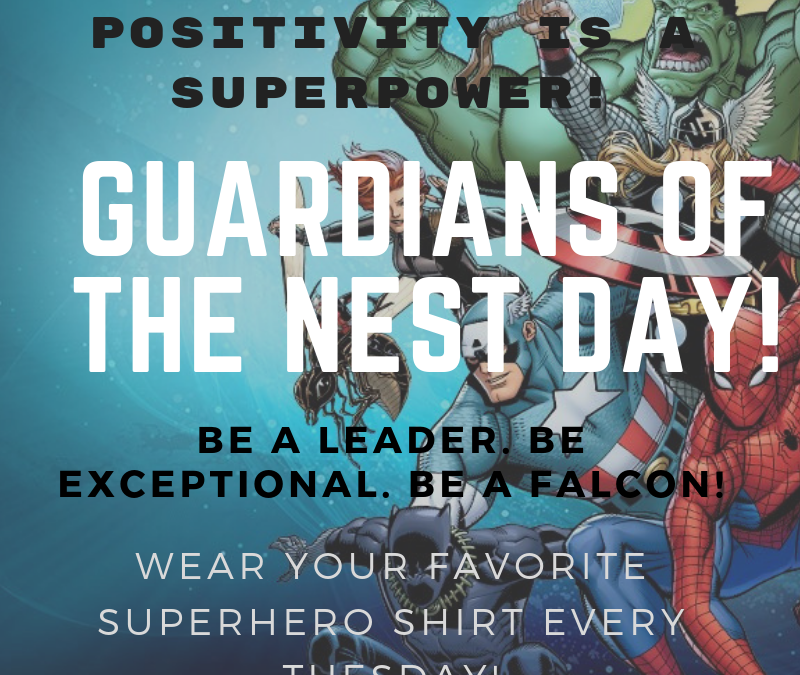 Wear your favorite super hero shirt every Tuesday and always be a Guardian of our Nest!